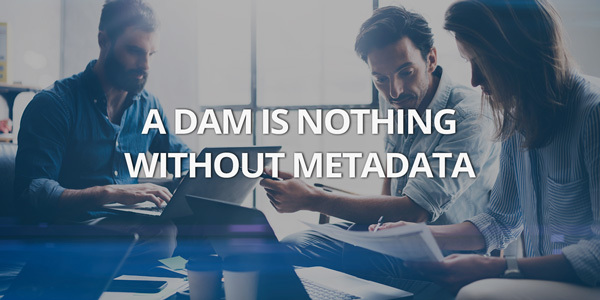 To run an optimized DAM you need to pay attention to metadata, it is actually essential. At QBank, metadata has kind of a rock 'n roll status, and with this blog post we aim to inspire you to give your metadata some well-deserved attention. 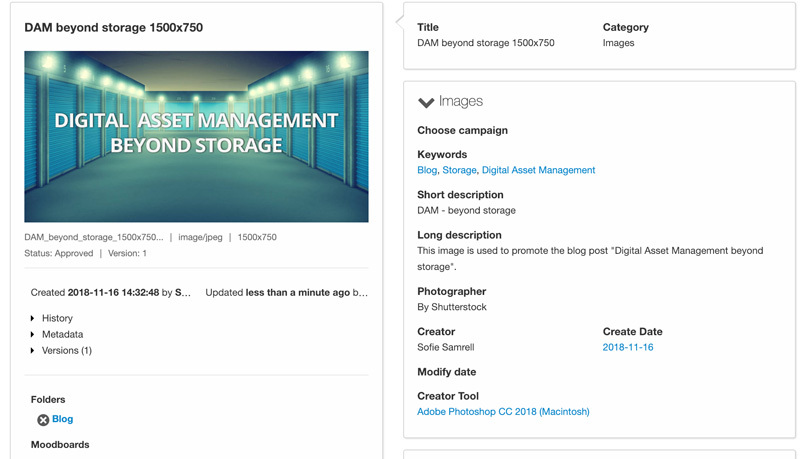 ...and why is it essential for a Digital Asset Management solution? When building a house, you need a firm and solid ground. The fundament on which you build your house upon. The same thing goes for setting up proper metadata in your Digital Asset Management solution. Your assets aren't worth much in a DAM if they have no metadata. In other words, the metadata is as important as the file itself. If you don’t know what metadata is then the above quote is a hilarious description, since it will not tell you anything. So, to describe it in a simpler way; Metadata is a description and context of data, for example how large a file is, who the photographer is, in what language your content is. Below is an example of how to use metadata in QBank. Why do YOU need metadata? One of QBank’s fundamental feature is the search tool. When optimized you should find your assets by a simple search, within seconds. This cannot be done if your assets aren’t set up with proper metadata. Not setting up your assets with proper metadata will have consequences on the performance of your DAM. Take copyrights and GDPR (European General Data Protection Regulation) as an example. If you don’t follow Copyright law or GDPR you risk facing lawsuits or really high fees – that’s probably no news to you. But with a proper set up of metadata you can easily keep track of your copyrights’ and when they expire, and who is portrayed in your images and their consent agreements. By setting up your assets with metadata you protect it from being used after a copyright has expired, or publishing an image that portrays a person that haven’t giving their consent. Automation will help your teams to work more efficiently in their daily work. To set up workflows you need metadata, or you will have no data to base your rules upon. When setting up a DAM there are a few steps to follow for a successful on-boarding. One of those steps are setting up a metadata schema for your organization, a work that often involves more stakeholders than just your marketing department. Set up a proper strategy that you can easily follow up and evaluate. Identify your stakeholders internally and take a look at your product journey's. It is not uncommon that different departments use different names on products, like internal or external names. This is especially important if you're using QBank as a hub integrated with tools like MDM, CMS, PIM, and you publish product information to retailers. If you're not consistent in naming, it easily will appear duplicates or your consumers risk getting a product with an inaccurate name. With QBank's smart analytics tool you can easily follow up your metadata and tags to make sure you are following your metadata strategy. Learn more about the tag tool here. Learn more about getting started with a DAM solution by clicking the box below.